Here is a section dedicated to the brave people LEEP, Inc. knows; those who are striving for better, overcoming odds, and creating anew from the ashes. This is the official shout-out to the broken becoming whole. An LGBT-run clothing line based in Cincinnati, Ohio. Get hot outfits for your next pride parade or simply sport the latest styles. Get your mind Crookid! Stewart was named one of Outfest's “Five in Focus” filmmakers chosen as “the next wave of hot new talent” for his feature debut comedy COFFEE DATE. Stewart's second feature, TRU LOVED, has won numerous festival awards and is now available on DVD. FBN represents a mindstate that is constantly progressing and never grows stagnant. They embrace our past, seize the present but are Focus(ed) Beyond Now (FBN). 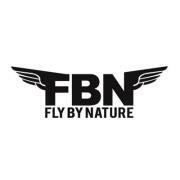 Fly By Nature produces high quality clothing. They specialize in crew neck and v-neck t-shirts along with tanks for both men and women. They also make crew neck and hooded sweatshirts if you want to add these items to your fall and winter collections. Jesse Fox is a graduate of Northern Kentucky University where she earned a Bachelor of Fine Arts degree with an emphasis in photography. 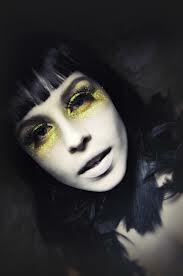 Having spent most of her life in performing arts, a narrative and emotional element is important in her work. She likes to explore the feelings, secrets, fears and fantasies a person has throughout his or her life. Unfortunately, since life can't be as theatrical and colorful as plays or musicals, she likes to create an elaborate, fictional version of how interesting and beautiful she wishes life really were through her work. *Unfortunately, Shane passed away. We shall leave the link to his music here as a memorial. Rest in peace, diamond. Shane is an up and coming musician. He makes a unique sound and provides tracks and/or lyrics to hip-hop/rap artists. You've never heard anything like this! Currently, Shane is expanding his musical knowledge to conquer the piano. He takes inspiration from his past and is constantly searching for meaning and learning in his daily journey. Amazing Freelance Service providing healthy hair services and education. Based in the Greater Cincinnati area.